Or maybe it’s just me? Shunned by the Moon contains a handful of new Hosts, along with rules for their inhabitation of an unfortunate vessel. Here’s a sneak preview of the Joining and the Ukusgualu Lamprey Hosts, both by fantastic author Chris Allen. In its most primitive and base state, a Shard appears as an animal — a spider, rat, or other vermin, often grotesque or mutated in some way. To Join with a human, the Shard makes contact with its victim’s flesh. As an Instant action, it then invades their body. This kills the human over several turns, after which the Shard takes control of the carcass. 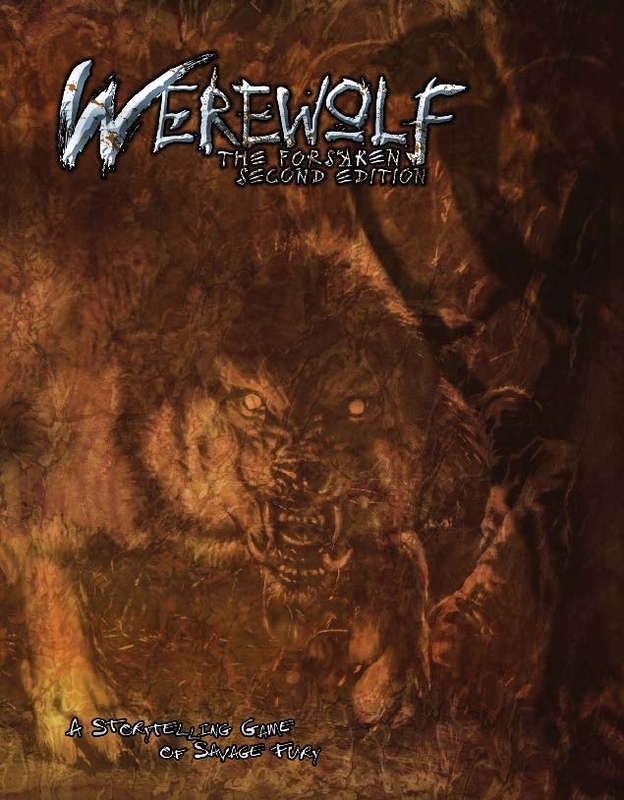 Claimed and non-human animals are spiritually incompatible with Shards; werewolves’ regeneration prevents a Shard infestation from killing them and taking control of their body. Once Joined to a victim, the Host must consume further Shards in order to further mutate its body into a hybrid. Without further Shards, the body instead decays over several weeks or months, and the Host must search out a new vessel. In its animal form, a Host possesses an Essence pool of 1-2; once Joined, this increases to 3 and can rise to 5 through consuming other Shards. Full hybrids have an Essence pool of 6 or more, reaching up to 50 for vast, bloated old Hosts. Hosts regain Essence through gluttonous consumption of large amounts of food, particularly human flesh. 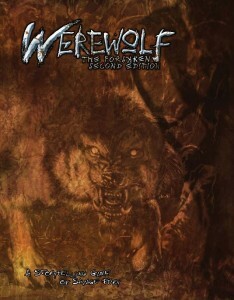 Werewolf flesh is the finest of meals for a Host, granting a point of Essence for each point of lethal damage done to the Uratha through a bite attack. The Lamprey Hosts, known to the Uratha as the Ukusgualu, are a ghastly strain of Shartha possessed by a craving for blood. The least of the Lamprey Shards are squirming, leech-mouthed eels indistinguishable from their mundane cousins, blindly questing for warm meat to prick with needle-teeth and drink deep from. Where the Host’s vile influence on the Gauntlet has yet to take grip, the lesser Ukusgualu must wait for a hapless swimmer to infest, or for a human to rest near the water’s edge. They can flop and squirm their way across land but are horrifically vulnerable when doing so. Once a victim is found, they clamp onto the veins or arteries at the wrist, inner thigh or neck, teeth rasping at the meat to rend a channel into which they can slip and squirm. A human possessed by a Lamprey Host coiling through his guts and heart becomes pale and clammy, with the occasional bulging shiver just beneath his wet skin. Such a husk still needs water, bathing every day to avoid desiccation. So too does it thirst, vomiting up lampreys on a victim to let the Shards feed before swallowing them back down. In time, if the body survives, it twists and mutates into something truly monstrous — human contours turn slick and streamlined, and the face distends with a huge lamprey jaw. The oldest of the Ukusgualu drift through the mud and silt of the river’s depths as huge and pallid wyrms, the last vestiges of humanity reduced to no more than withered little limbs and all-too-clever eyes. The Lampreys are heralds of a blood-soaked nightmare. They vomit libations of blood into the Gauntlet’s fabric, stirring it into a red and liquid veil through which they can writhe and dance. In time, blood starts to seep back into the Flesh, drips and spatters gathering in sanity-staining patterns. The bloody phenomena gnaws at the human mind; hushed cabals gather in wet basements to build pyramids of brass and bone and sinew. They croon and shudder and offer prayers to things even the Ukusgualu only dimly understand. The Lampreys believe they came from an endless ocean of blood, and that it is theirs to inherit if only they can return. The bloodied Gauntlet lets them stand in the shallows of their home, but they have yet to find the coursing currents that will fully open the way. That is the task of the Merovech — follow the pull of the crimson tides, and wrench open the floodgates to paint the world red. ◀ Now Available: Cavaliers of Mars! This reminds me very much of Laird Barron’s “Old Leech”. Very cool. So glad Forsaken is getting another book. Looking forward to seeing how they’ve changed and these Merovech. Any chance we will get stats for plague spirits? Iv’e been dying for some rules given how integral they are to chronicles involving Beshilu. Regardless, I will be purchasing this book. Nice. I remember when the lampreys were just a homebrew.